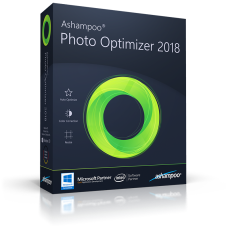 Ashampoo® Photo Optimizer 2018 makes your images look better. Automatic optimization is at the heart the program and enhances images at the click of a button. This is achieved through detailed image analysis that reveals possible weak points. Pale colors, incorrect exposure settings or wrong color temperature - Photo Optimizer's algorithm finds them all. The new version also features automatic white balancing and contrast spreading for even better results. Auto-optimization has been refined and fine-tuned with the help of 5000 customers to precisely fit the needs of ambitious photographers. 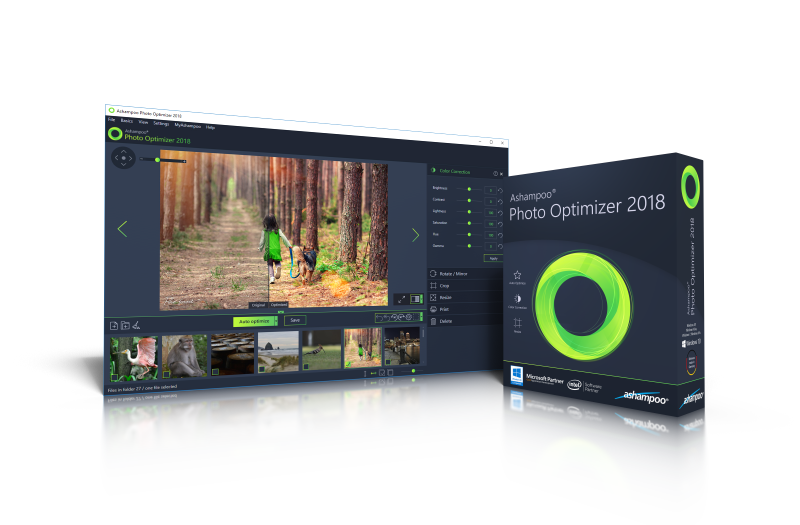 Naturally, Ashampoo® Photo Optimizer 2018 also includes indispensable image editing tools to adjust colors, rotate and mirror or resize and crop images. 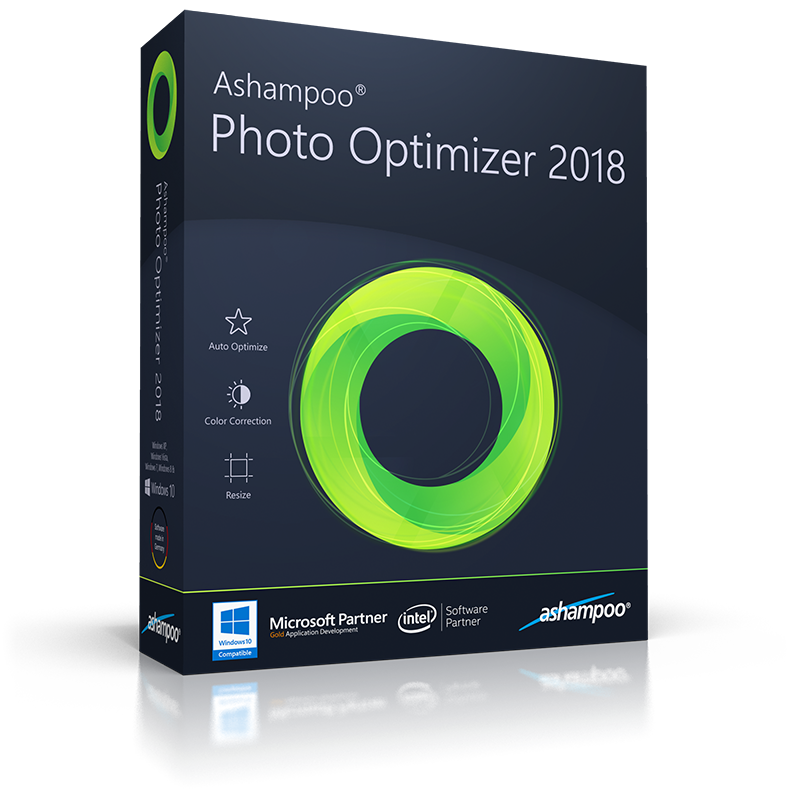 Ashampoo® Photo Optimizer 2018 was designed for fast and efficient image editing and requires no previous knowledge.